A loan of $2,500 helped a member to purchase seeds and fertilizers for her paddy cultivation. Sebati is a 32-year-old lady who lives with her husband, parents-in-law and three children in a small village in Odisha, India. In the picture, the lady standing with her hand raised is Sebati. She is engaged in paddy cultivation. Her husband is doing the same business. Some years ago, Sebati formed a group with nine other women from her village with the group name of "Maa Santoshi Self Help Group". All the group members are engaged in different business activities such as selling milk, vegetable cultivation, etc., to alleviate their poverty. Sebati is the president of this group. She motivated all the group members to form this group so they could help and support each other in their business and personal lives. 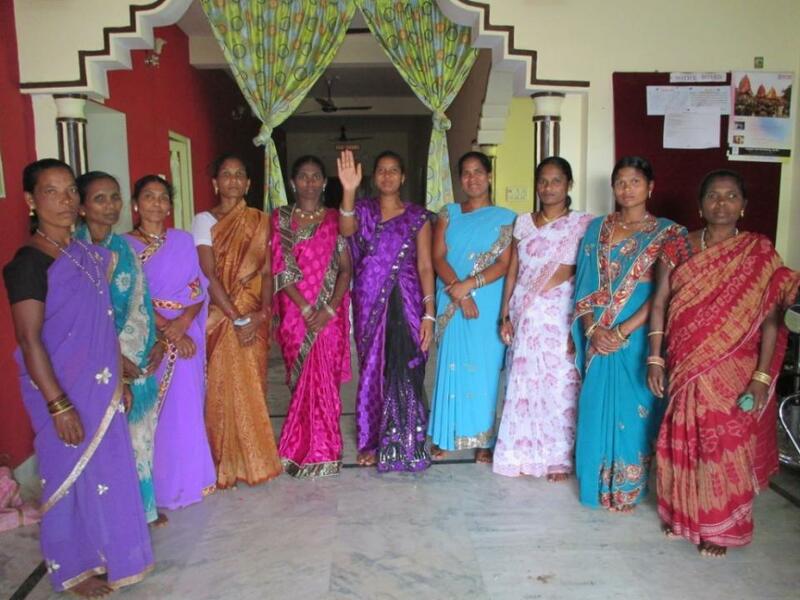 Sebati, along with her group, requested a loan of 150,000 INR. She will use her portion to purchase standard-quality seeds and fertilizers for her paddy cultivation. She hopes to build a house for her family and she is very grateful to Kiva for this opportunity. People's Forum focuses its work in some of the most underdeveloped districts in Odisha, characterized by poor infrastructure and high levels of poverty. By supporting this loan, you are enabling access to finance for borrowers living in some of India's poorest and most remote areas. People’s Forum is a development organization based in Odisha, India that provides affordable loan products and support services to women. The organization distinguishes itself by reaching out to particularly marginalized groups, including leprosy-affected families, widows, single mothers, and disabled persons. People’s Forum will harness Kiva’s flexible, zero-interest capital to serve even more borrowers in one of the poorest regions of India. People’s Forum creates products and programs for people who have had few to no opportunities to improve their living conditions through no fault of their own. By working with particularly marginalized groups like leprosy-affected families, widows, the disabled, transgendered individuals, and the extreme poor, People’s Forum is enabling people with limited options to help themselves. Kiva’s flexible, zero-interest capital will allow People’s Forum to reach even more borrowers in Odisha, one of the poorest states in India.